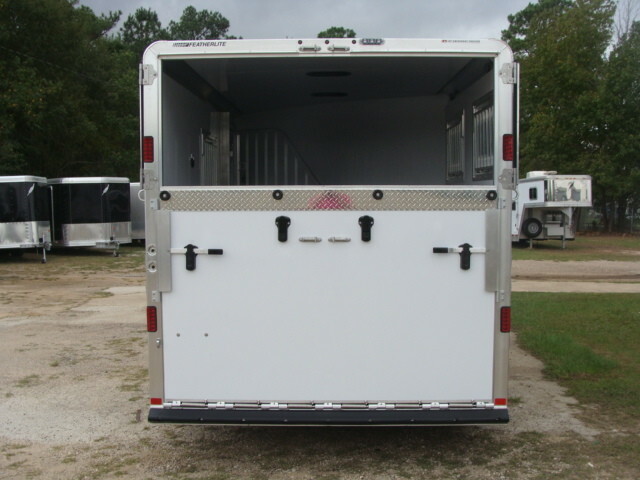 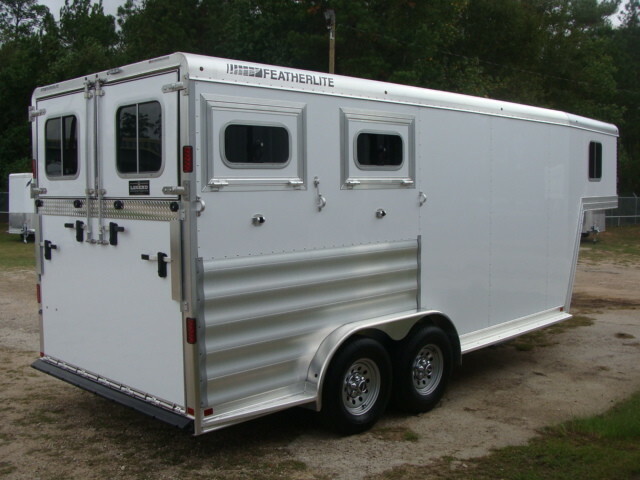 You are considering a brand new, unregistered 2016 FEATHERLITE 8542 Big Two Horse Legend Edition Goose Neck aluminum trailer. 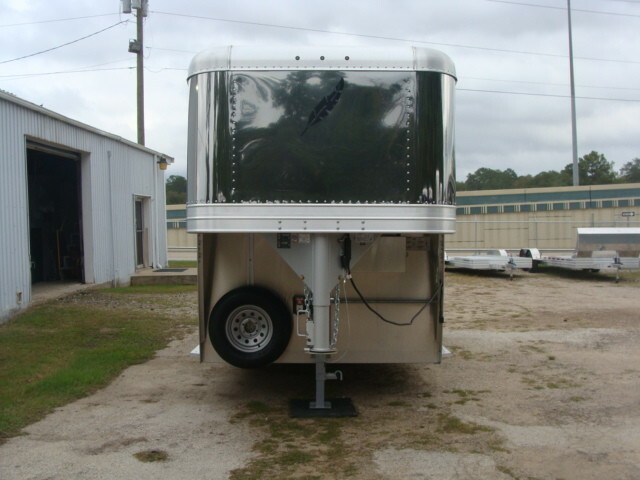 Yes, we make that. 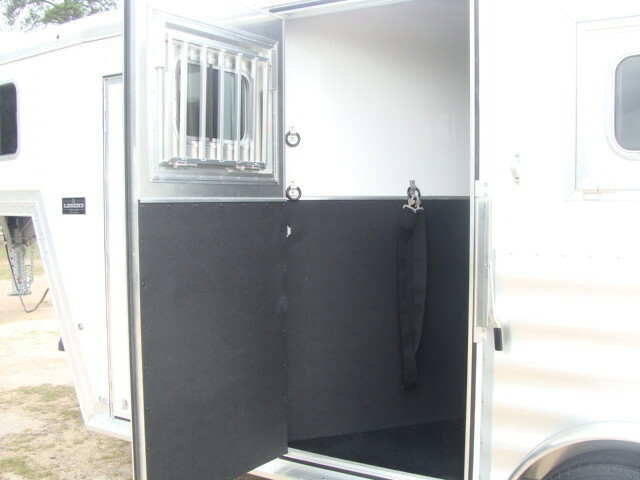 Available to order! 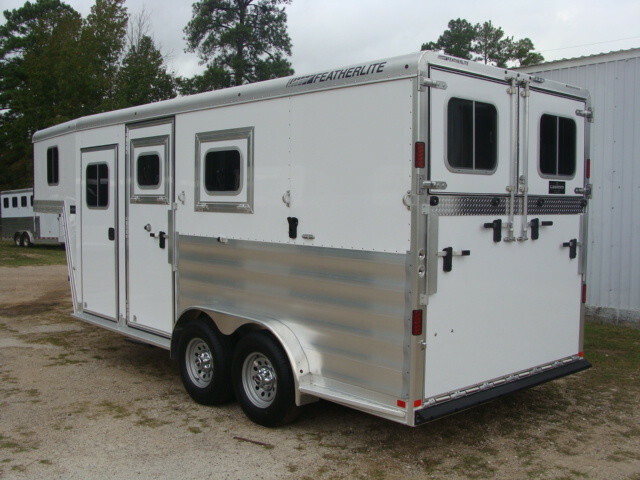 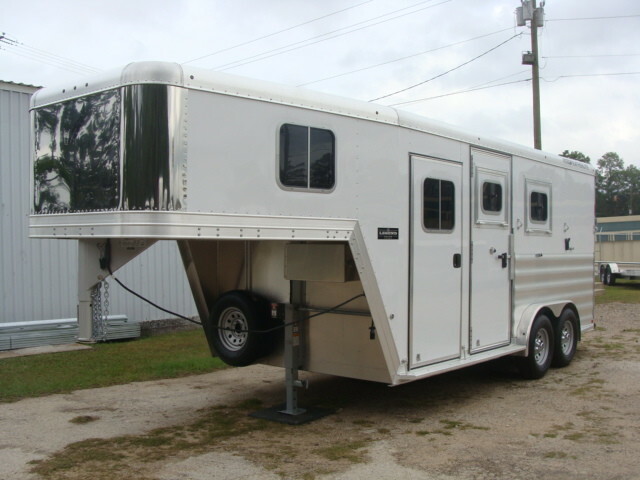 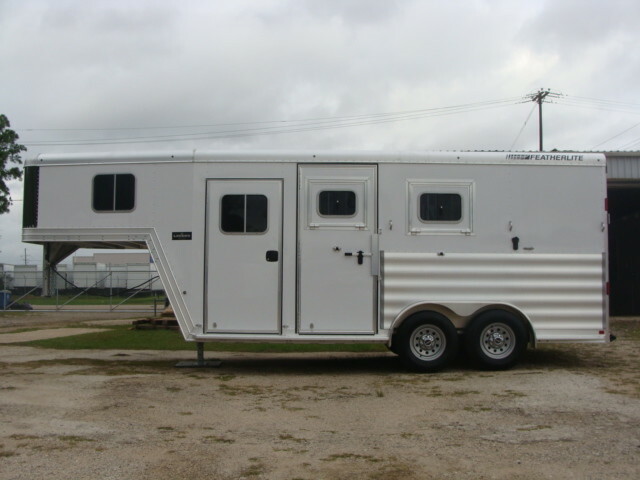 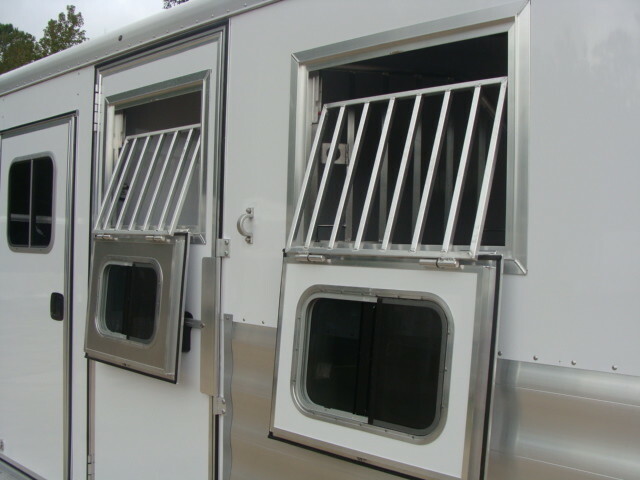 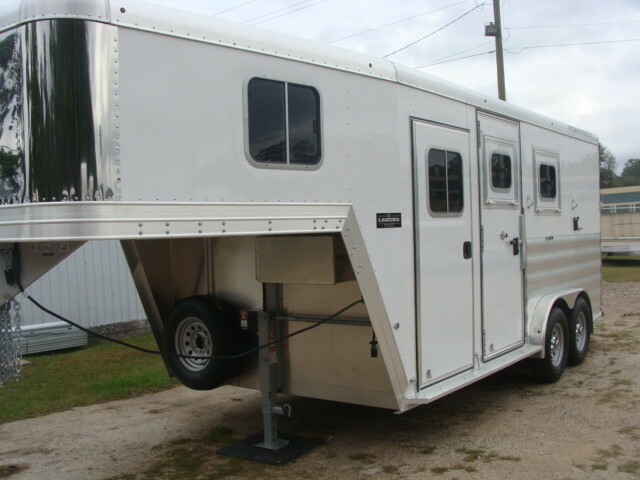 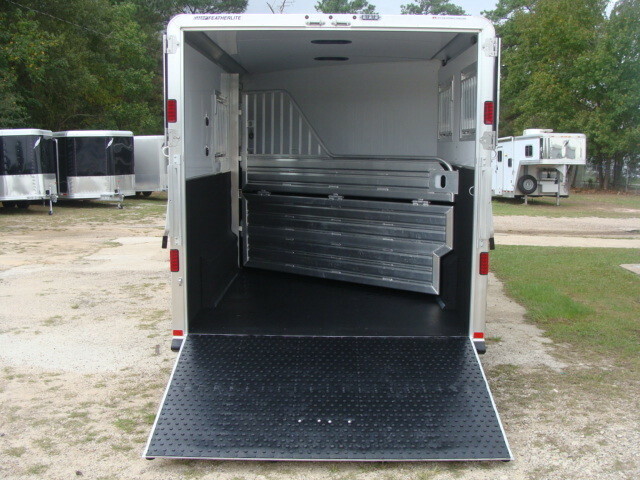 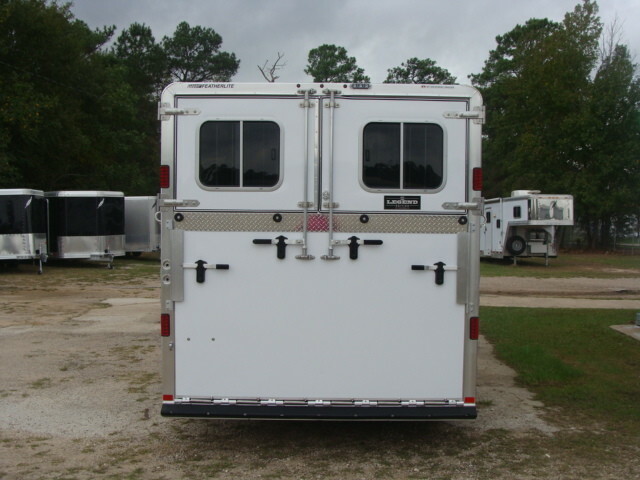 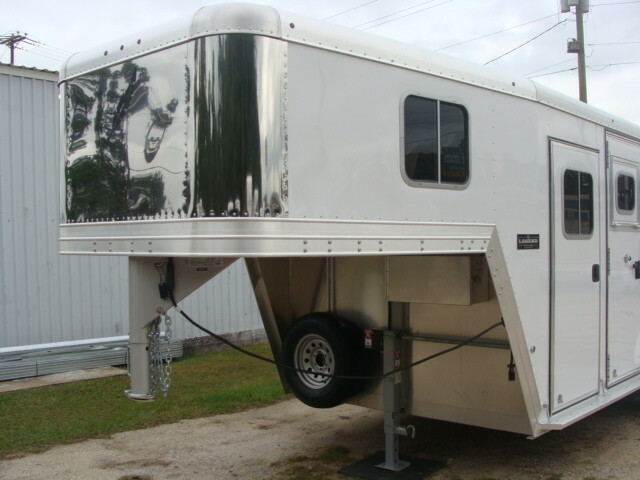 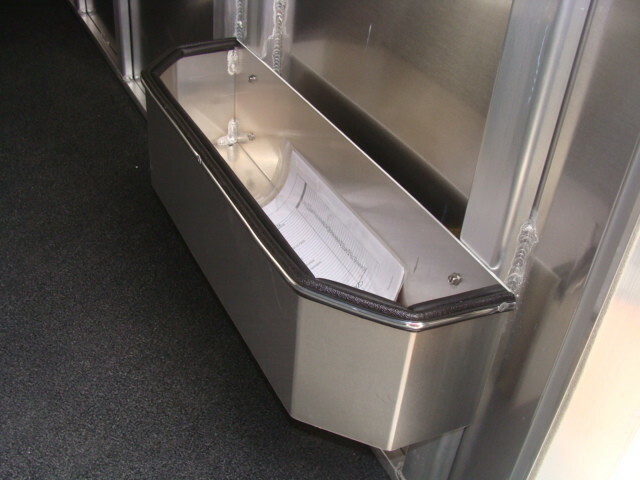 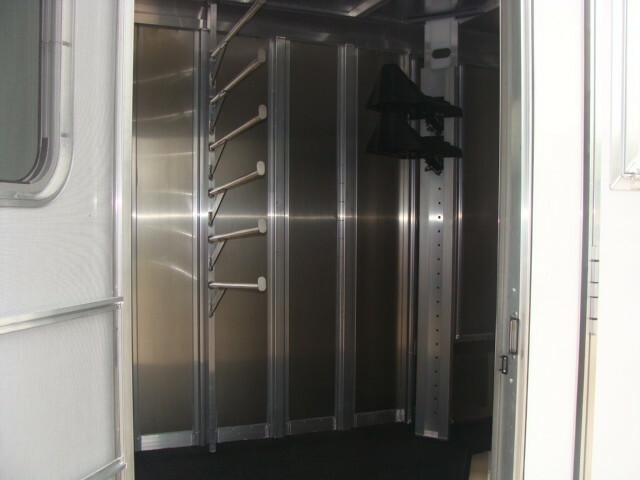 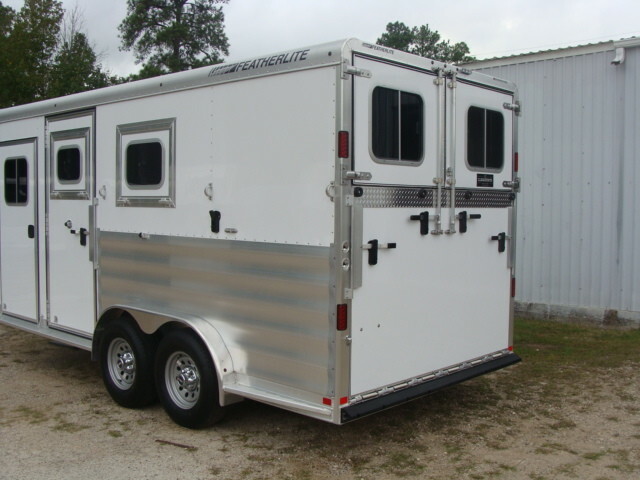 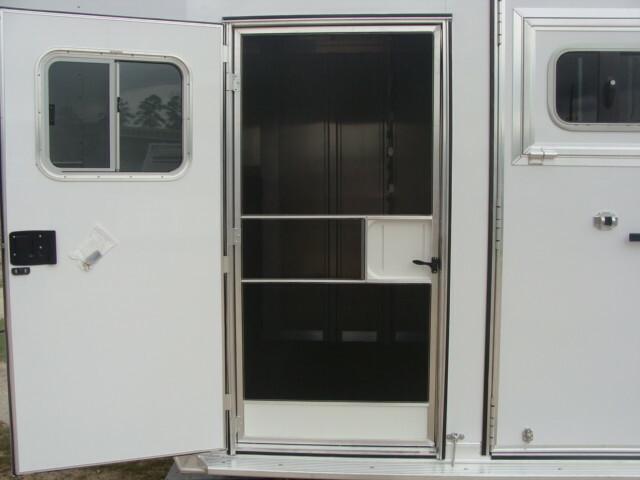 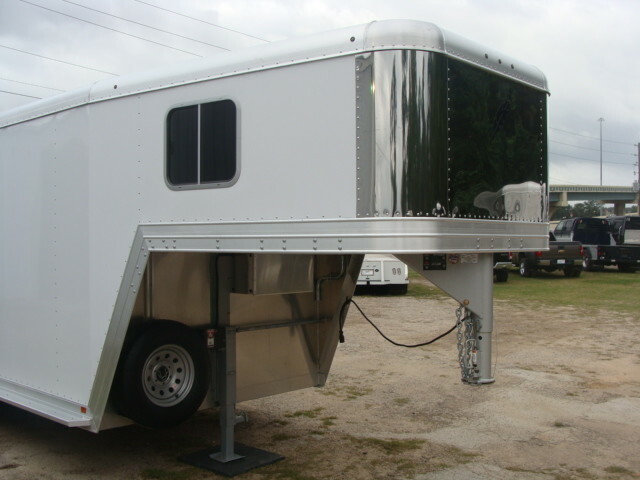 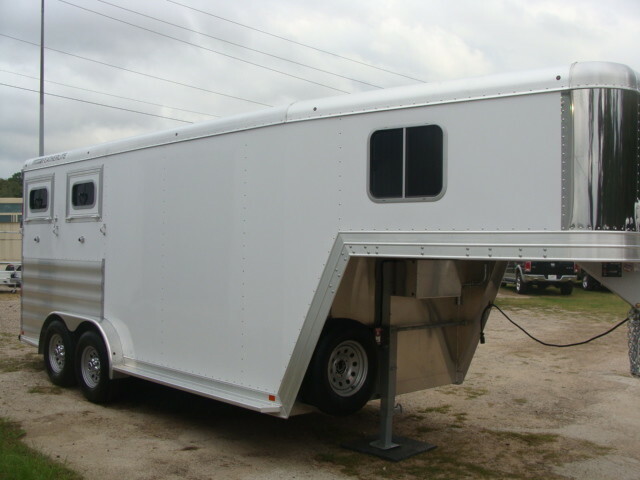 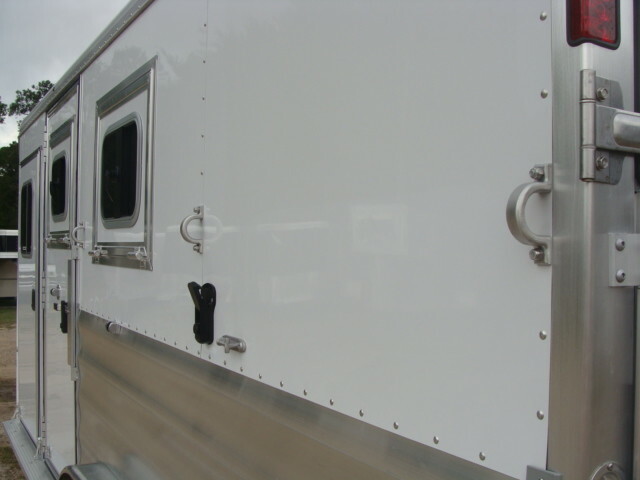 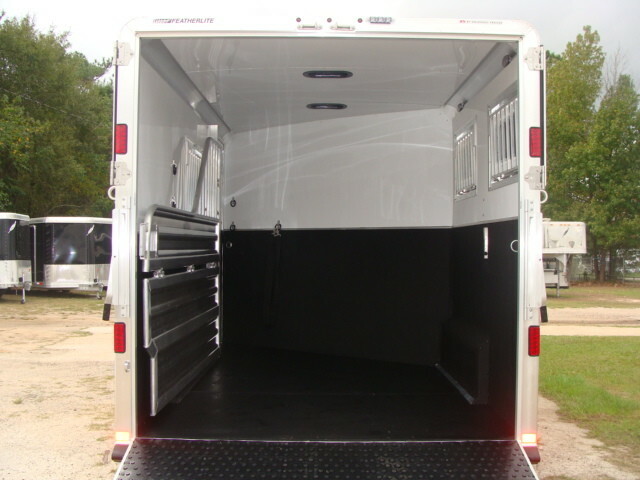 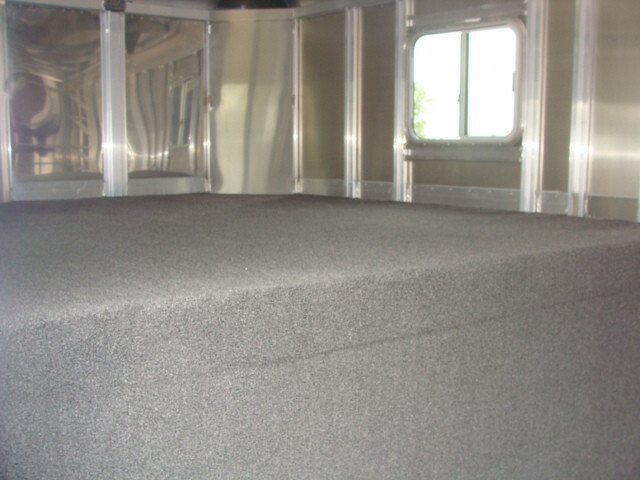 FEATHERLITE Installed Features & Options: 8542 7'6" wide 2 horse, Big Horse 7'6" wide x 7'6" high x 17' long with 48" slant wall dressing room & 50" stalls,4.8K rubber torsion tandem axles, Easy lube type axles, Electric brakes at each hub, Adjustable goose neck coupler (2 5/16"), Single leg landing gear, LED interior dome lights (2 in dressing room & 2 in horse area), LED exterior marker light package, LED turn & brake lights, Smooth extruded aluminum floor, 3/4" horse mats, Two-way vent roof (x2), Square cornered 36" camper door with window/ deadbolt/ screen door, Smoke tinted glass throughout, Two rack adjustable saddle rack with blanket bar on removeable post, Clothes rod in dressing room, Aluminum brush tray in dressing room, Aluminum lined ceiling (white), Rubber lined walls up 48" behind & 44" in front then lined white aluminum up to ceiling, Insulated ceiling and walls, Stainless steel on front & corners, Tapered nose, Carpet in dressing room (incl: dressing room floor, GN floor, GN drop wall, White exterior .040 aluminum side sheets (taped & riveted seams), Aluminum combo panel below windows, Legend Edition, Rubber docking bumper, Interior tie rings, Three exterior tie rings per side 6 total (exterior), Spare tire mounted on carrier under GN, Electric assist for landing gear, LED load light mounted rear, Ramp rear horse with doors above with 2 windows & double pipe hardware, Door square cornered drop down feed with fixed bars on window insert on curbside, Aluminum removeable stud divider, "Air Flo" slant divider with slam latch & vertical bars, 6 hook aluminum halter bar, Battery package for GN trailer, Street side escape door at stall one with drop down feed door (not standard on 2 horse), Easy Lube Dexter axles, Electric brakes at each hub, and 4.8K Dexter rubber torsion tandem axles.